This page supplies technology resources that focus on literacy or reading and writing skills. Description: School success depends on a student’s ability to plan, organize and prioritize tasks, materials, and information; separate main ideas from details; think flexibly; memorize content; and monitor progress toward completing tasks. This webcast will introduce strategies using low tech to high tech tools for developing these executive functioning skills for students on the Autism Spectrum. ffers a wealth of research-based reading strategies, lessons, and activities designed to help young children learn how to read and read better. Our reading resources assist parents, teachers, and other educators in helping struggling readers build fluency, vocabulary, and comprehension skills. 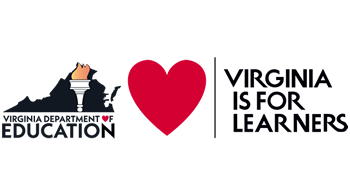 Description: Learn24VA is an initiative of the Virginia Department of Education and the Virginia529 College Savings Plan. This portal aggregates digital tools, content, and resources to support teaching and learning 24/7. The site quickly searches for Virginia-approved online courses by subject. For example, when you type "German" in the search box, all of the approved German courses would appear in a list. Description: This site includes: Low Tech Options, App Organizers, Chrome Extensions, and Computer Options. Description: These include: Universal Design for Learning: From Theory to Practice, Design and Deliver: Planning and Teaching Using Universal Design for Learning, UDL Myths & Misconceptions, CAST and Project OPEN Present UDL On Campus, UDL Now!, A Discussion on UDL and Learner Variability, Universal Design for Learning: Theory and Practice, A Book Discussion, UDL Implementation: Are You Ready? Description: The Assistive Technology program prepares you to expertly engage with people who have disabilities and offer them innovative options for home, work, school or community. 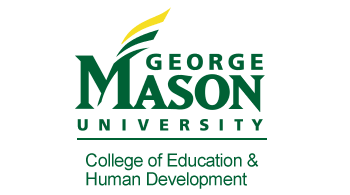 This 100% online graduate program is from the Top 20 ranked special education division at George Mason University (GMU), where assistive technology has been a special focus of research for more than 30 years. Description: For many educators, applying Universal Design for Learning (UDL) principles is viewed as a philosophical approach for designing curriculum, shaping instruction, selecting instructional materials/technology, and developing assessments that provide greater access to learning for all students. Designing curriculum and instruction for diverse learners using the principles of UDL at the outset enhances the classroom environment and requires less retrofitting and adaptation by classroom teachers. Description: We offer over 200 free resources including: Writing and Teaching Writing, Research, Grammar and Mechanics, Style Guides, ESL (English as a Second Language), and Job Search and Professional Writing. Description: EARN is: a safe and structured environment in which young people can communicate, an opportunity to apply knowledge in service-learning projects, and a community of educators and learners making a difference as part of the educational process. Description: Storyboard Generator is a free tool from the Australian Centre for the Moving Image. Students can choose a script (or write their own) and create a storyboard. This is a great free tool for teachers to use with their students to help them learn storytelling, presentation skills, and so much more. Easy to use, this is a powerful tool for students of all ages. Description: This module describes how teachers can incorporate vocabulary and reading comprehension skills instruction into content-area lessons and will introduce you to a variety of effective practices—including the use of graphic organizers—to help students better understand what they read. Description: This new interactive tool is designed to help health professionals and others find nutritious recipes as a key strategy for encouraging children to eat healthier meals. Resources include Cookbooks, Recipe Tools and Spotlights. Recipes in Spanish (Recetas en Español) are available too. Description: Are you using all the tools that are available to improve your students' learning and demonstration of literacy skills? Have your students developed note-taking and study skills? Are they communicating and participating in socially acceptable ways, autonomously and as independently as possible? These are the possibilities of supports through today's mobile technologies, apps, software, and even no tech assistive technology strategies. You will be prompted to login to view this archived video. Description: If your child has a special need or learning difference, you've come to the right place. Common Sense Media gets lots of requests for product recommendations from parents whose kids struggle with traditional learning. Some of their kids have a hard time with schoolwork; others have trouble staying on task or find it difficult to express their feelings. Description: These apps for special needs were made by the developers at Moms With Apps to assist children and families. Description: BridgingApps is a program of Easter Seals Greater Houston that provides access to educational and therapeutic tools—anywhere, anytime—allowing parents, teachers, and therapists to effectively use mobile devices and apps to target and improve individual skill development to help children and adults with disabilities reach their highest levels of physical and cognitive development. Description: EconEdLink is the leading source of online economic & personal finance lessons & resources for educators, students and afterschool providers. Description: The BrainLine team sorted through many resources to compile this list of apps for mobile devices for people with a brain injury, their families and caregivers. Description: A critical part of improving developmental and educational results for children with disabilities is using effective practices in early intervention, wherever services are being provided—an agency setting, the home, and across the child’s natural environment. An impressive knowledge base of experience has been built on the delivery of early intervention services. 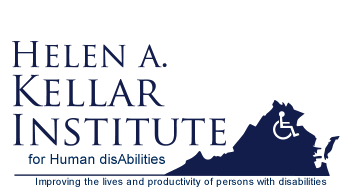 Description: This site brings together the range of web-based content available through Perkins School for the Blind for teachers, families, and others interested in the education of children who are blind or visually impaired, including those with deafblindness or additional disabilities. Description: Broadcast LIVE and for FREE, Perkins Training & Educational Resources Program introduces webinars, presented by experts in the field of visual impairment and deafblindness. There are many recorded webinars that can be watched for free or you can register to earn professional credit. Title: Colorin Colorado: Helping children read...and succeed! Description: This is a bilingual site for families and educators of English language learners. The bilingual section was created just for parents and families to provide you with the information you need to help your child become a good reader and a successful student. Description: Esta sección bilingüe ha sido diseñada pensando en ustedes, con el fin de brindarles información útil para ayudar a sus hijos a convertirse en buenos lectores y en estudiantes de éxito. Description: Serving students who are nonverbal is a challenge. It is necessary to provide these students with ways to communicate so that they can answer academic questions and participate in the social communication of the schools. Use of core vocabulary can help make this happen.